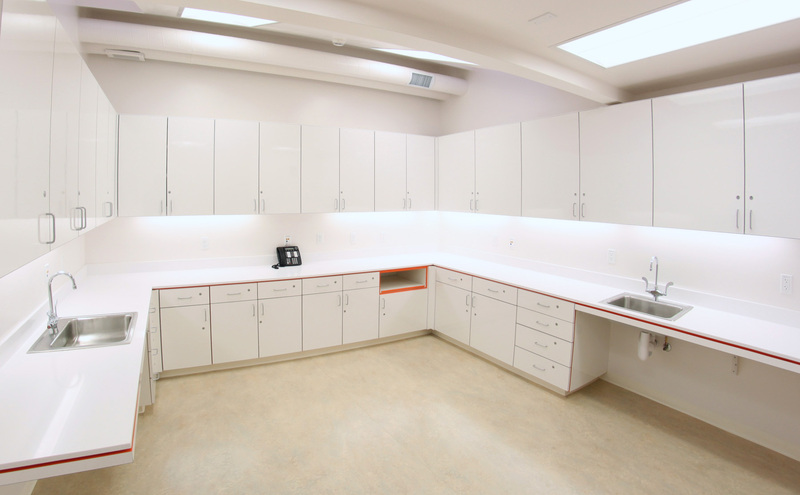 The Havenscourt Health Center is a new school-based health center located inside an existing school building which had originally housed a woodshop. Our idea was to create a bright and welcoming environment that distinguishes itself from the otherwise inconspicuous school facility. The design creates a safe and welcoming space for students, their families, and those who are not necessarily familiar with healthcare in general. 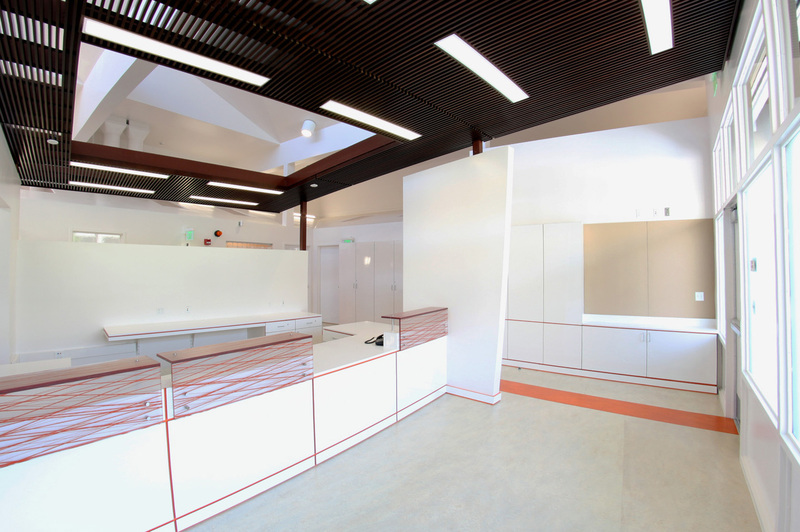 The design concept begins with a centralized reception that allows a minimal amount of staff to oversee the clinic. The reception was oriented off-axis to allow the main entry to angle away from the existing building envelope. This creates the façade of the clinic and a covered area for the entry traffic. 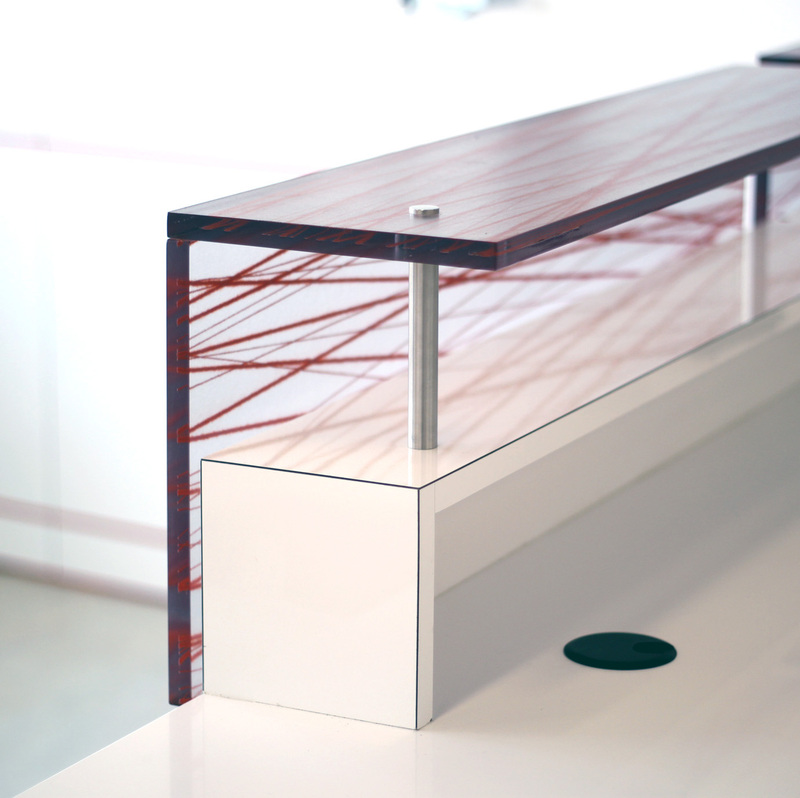 The off-axis design was further incorporated vertically to enhance the distribution of natural light. The lower, sloped ceilings of the perimeter rooms reflect the light entering from the transom windows above, illuminating the overall space. Interior skylights on these sloped ceilings also provide a visual connection from the rooms to the larger, central space of the facility. 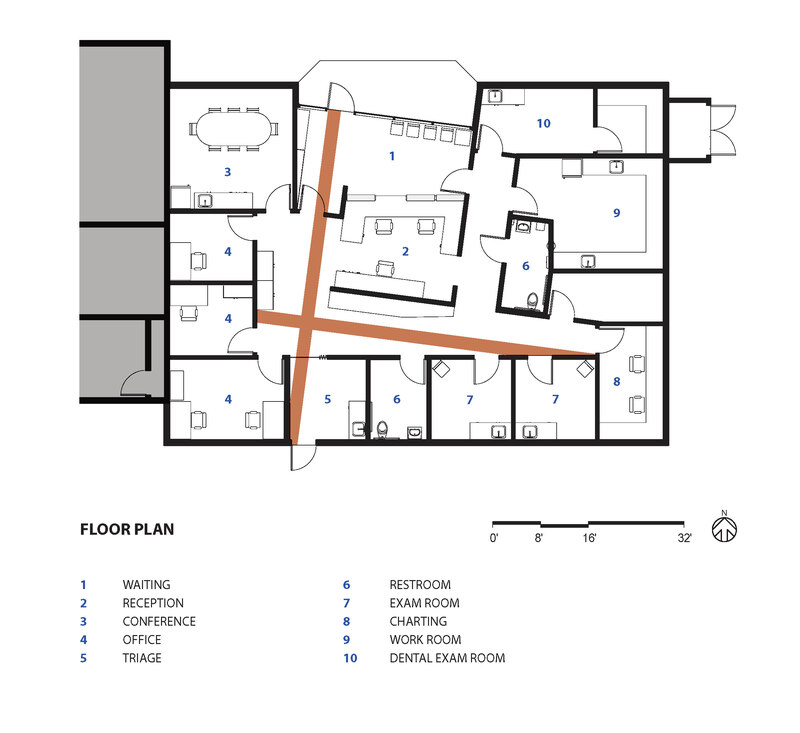 The center plan includes a public waiting area, reception, conference, offices, triage, counseling rooms, lab, records, dental room, and related support spaces. The project was designed to meet the permitting requirement of Division of State Architect. 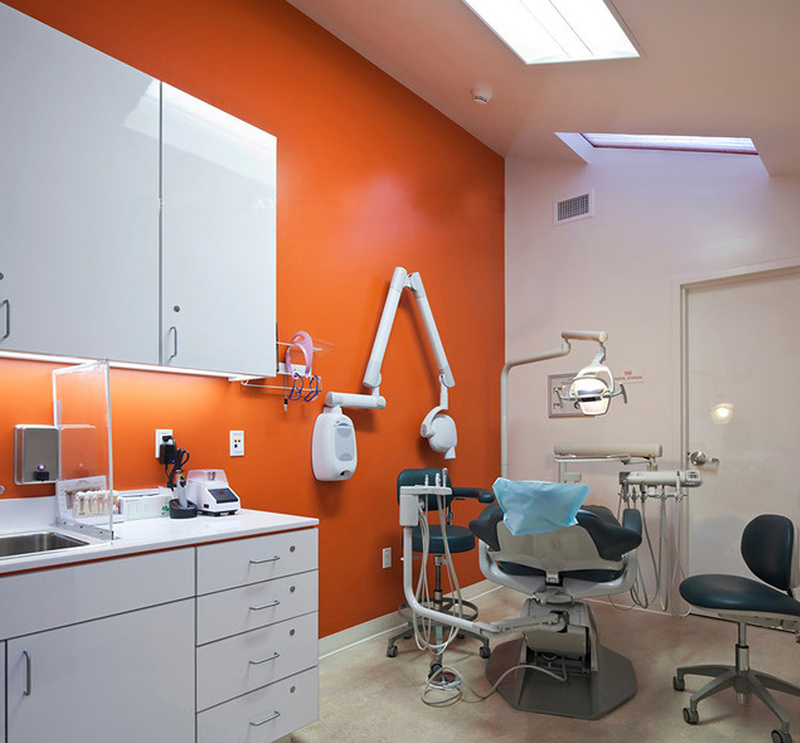 In addition, the California Office of Statewide Health Planning and Development (OSHPD)’s category III design requirements were implemented. Learn more about Havenscourt Health Center and care provider La Clínica de La Raza here.